Liquid Cooling - The Next Step in Data Center Heat Management? As one of the leading commercial HVAC service providers in the greater Charlotte area, we’re proud to count many of the area’s growing data centers as satisfied customers. They’re considered mission critical facilities because, in many cases, entire businesses — and the livelihoods of thousands of employees — depend on the communication and transactions that flow through those data centers every day. Why is HVAC so important in a data center? 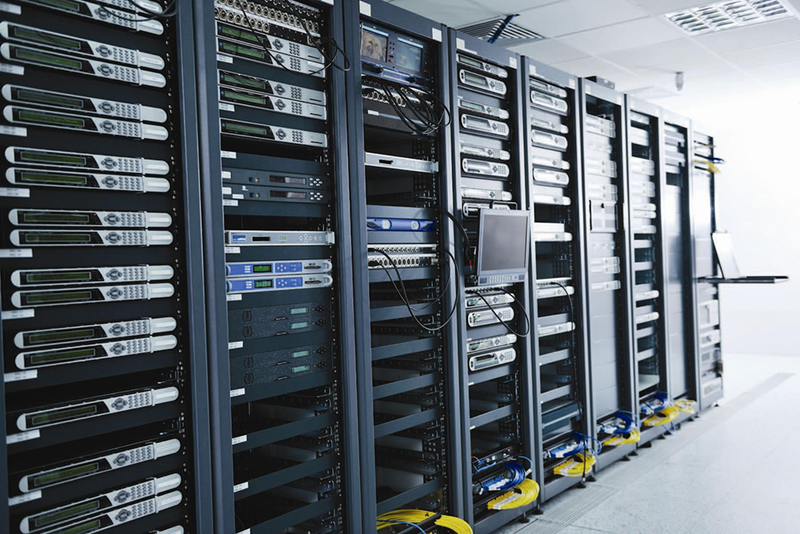 HVAC is an integral consideration for data centers because the huge number of servers and other peripheral electronics in the facility create a lot of heat. If that equipment isn’t effectively cooled, it can create performance issues and even destroy the delicate machines. When even temporary downtime can result in huge losses, it always pays to invest in innovative but practical ways to ensure the servers stay cool. What’s the best way to keep a data center cool? Thus far, the most efficient and effective methods for doing so revolve around the circulation of cooled air and the venting of hot air, preferably by means of a hot aisle/cold aisle server configuration and complementary ventilation. The addition of an airside economizer and automated controls provides the optimal data center cooling setup, in terms of performance and energy efficiency. What is liquid cooling and how practical is it? As the article notes, the technology involved in liquid cooling isn’t new. The concept has been discussed and experimented with for well over a decade and there are examples of it being used in a few data centers around the world. One method of liquid cooling electronics is the immersion method, in which the servers or components are physically immersed in a non-conductive liquid that is then cooled either via circulation through a chiller, or via evaporation. Another method uses a heat exchanger or “cold plate” that sits directly on microprocessors and memory devices. The cold plate is cooled by circulated water, and it serves to control the temperature of these particularly sensitive electronic components. The rest of the equipment is still air-cooled as normal, providing a hybrid solution for keeping device temperatures regulated. In both cases, liquid cooling works exceptionally well. The downside? It’s not with the concept or even the technology itself. It’s with the practicality of implementing the technology into existing data centers that have been completely built around an air-cooled methodology. To implement the immersion method, the entire configuration and interior setup of a data center needs to be changed, and all the necessary liquid circulating equipment needs to be installed. The cost of this kind of overhaul can be difficult to justify. However, a brand-new data center being built today may well choose to implement immersion cooling right from the start. The hybrid liquid cooling method described above can be realistic as a retrofit option for existing data centers, but cost can be prohibitive. This is primarily because, instead of buying, installing, and maintaining one cooling system, the data center now needs to cover the ongoing cost of two. When will liquid cooling be a go-to solution? At some point in the future, traditional air cooling may no longer be the most capable option for effectively and efficiently managing the heat generated by a busy data center. At that time, the industry will be forced transition to options like liquid cooling. Our goal at AirTight FaciliTech is to keep a keen eye on this and any other emerging technologies to make sure our current and future customers have access to the very best equipment and methods to keep their commercial facilities comfortable and functional at the lowest lifetime cost. If you own or manage a commercial facility or data center and could use a professional opinion on the best options for meeting your HVAC needs, contact AirTight FaciliTech today.